In an interview on "The View" Friday, Sen. Bernie Sanders was asked if he is interested in advice about running for president from Hillary Clinton. He responded "I think not." 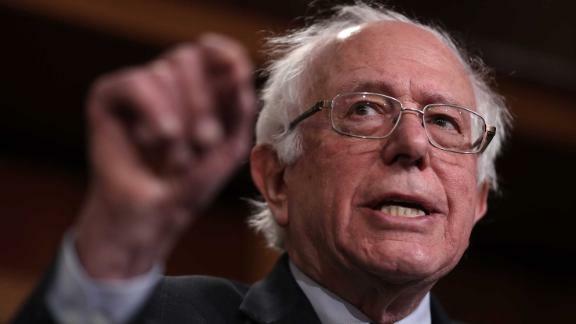 2020 presidential hopeful Bernie Sanders said he's not interested in any advice from 2016 Democratic presidential nominee Hillary Clinton, citing "fundamental differences" with his former rival. During an interview on ABC's "The View" Friday, the Vermont independent senator, who's seeking the Democratic nomination, was asked if he plans to meet with Clinton to talk about 2020, which other Democratic candidates have done already. "I suspect not. Hillary has not called me. Look, we have differences," Sanders said, before acknowledging that "Hillary has played a very important role in American politics." Asked if he's interested in any advice from Clinton, Sanders replied, "I think not." "Hillary and I have fundamental -- you know, fundamental differences. And that's what it is," he explained. He also criticized Clinton's losing campaign for not reaching out to "working class people the way I think she should've." "There were states where she did not campaign as vigorously as she should've," Sanders said, pointing to Wisconsin and Michigan, whose primaries he won over Clinton in 2016. During the 2016 Democratic primary, the Sanders campaign and supporters accused the Democratic National Committee of stacking the deck in favor of Clinton. Sanders claimed that leaked emails of then-DNC Chairwoman Debbie Wasserman Schultz proved the "prejudice of the DNC" against him. CNN previously reported that in the past two months, Clinton held separate meetings with former Vice President Joe Biden, who's weighing a 2020 run, and Sens. Amy Klobuchar, Kamala Harris, Cory Booker, and Elizabeth Warren to talk about the upcoming presidential election.